Discussion in 'Release Notes (Beta Versions)' started by vasily_bagirov, Mar 6, 2015. Beta is available for updating to for all beta testers. Not been here for a while but thanks. Do you have any plans for us to check our user filters against lists that are being used? I know i have some old filters but no way to check them. Is it just me, or is the Assistant not being injected to https://news.google.com/ while using Internet Explorer 11? 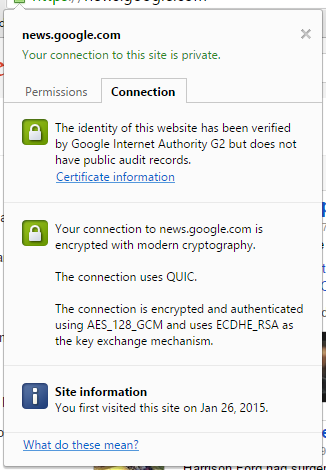 I can verify the site's using Adguard's CA so it isn't an issue like QUIC (which IE lacks). Have you restarted the browser after updating to a new version? It's possible that Chrome created QUIC connection while you were in process of updating. This feature is in the task list but with low priority. Yes, a few times and it was set to QUIC. Nonetheless, I disabled it in Chrome's flags and it's back to normal. For the IE issue, I've rebooted the PC and dumped the cache a few times and it still doesn't show on Google News. Odd. The older IE versions compatibility mode is enforced on this website, and Adguard Assistant won't work properly in that case, so it's disabled. Huh, Google uses compatibility mode?